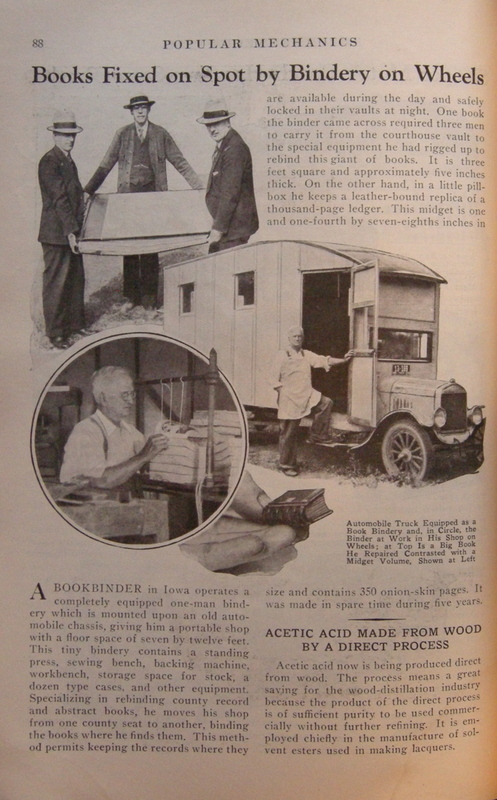 This is from Popular Mechanics, January 1933. I guess we can take some comfort that in the depths of the Great Depression, this Iowa binder still had work! The sewing frame has no lay cords, it looks like he is oversewing the pages and the job backer looks to be homemade, as the entire bindery is. I wonder if he also slept in the truck. I think it would be fun to be able to change the location of my studio at will, although I doubt I could work in a 7 x 12 foot space.